No physical tickets: Your Current SKIF Ireland Licence with Photo will be used for entry to events, No-Licence-No-Entry. The only exception to this rule will be outside visitors from other organisations. Dojo Pre-Registrations: This Seminar is a pre-registration seminar. Pre-Registrations must be completed in advance of the course to ensure that you get the €10 Early Payment Bonus. Please note that the Single Class Fee is excluded from the Early Payment Bonus. 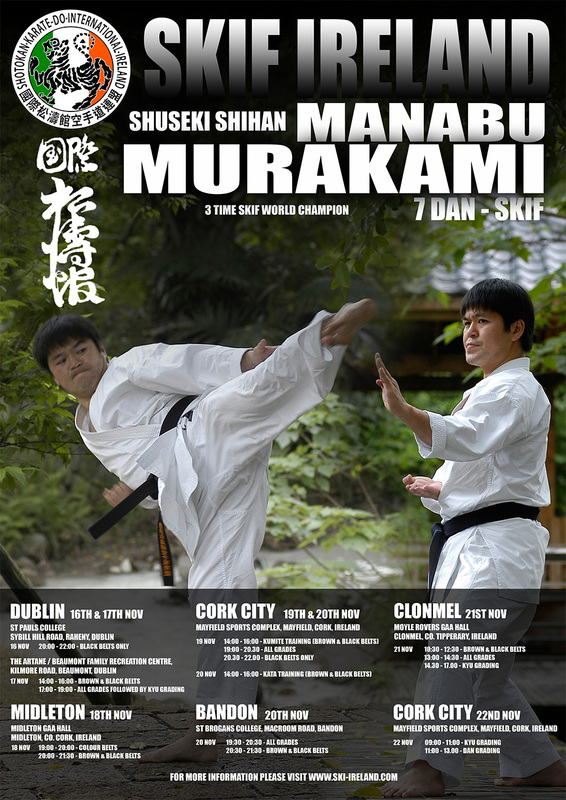 For this seminar there will be no tickets being issued, SKIF Ireland students will use their current SKIF Ireland Licence with a photo on it for entry to venues. No tickets will be issued for this seminar. SKIF Ireland students must present their current/valid SKIF Ireland Licence, (Complete with Photo) to gain entry to the training venues. IMPORTANT: All clubs must submit payment by 15th November 2015 to avail of the early payment bonus. Please note, should a club be late submitting their information to the treasurer, they will not be eligible for the €10 early payment bonus. This means the full fee will apply (excluding the early payment reduction) when payment is received. Please note that the Single Class fee is excluded from this Early Payment Bonus.